Diego Ulissi (UAE Team Emirates) has taken the victory at the fifth stage of the Tour de Suisse. The rider was the strongest at the climbing finish. The fifth stage of the race took the riders to the mountains featuring a 126.4-kilometre route that included three climbs: one hors category and two of the first category, including the mountain final. The start of the stage had several attacks but it was well into the route that some riders could breakaway. Swiss champion Silvan Dillier (AG2R La Mondiale) was once more part of the escape group and he had the company of Daniel Oss (Bora-hansgrohe), Jasper Stuyven (Trek-Segafredo), Willie Smit (Katusha-Alpecin), Lawrence Warbasse (Aqua Blue Sport) and Paul Ourselin (Direct Energie). This group created a gap of more than three minutes with the peloton. During the second climb of the day, Dillier, Stuyven and Ourselin had problems following the pace in front, and Warbasse took advantage of this situation and went away on his own. Behind, a group of riders that included Omar Fraile (Astana), Lilian Calmejane (Direct Energie) and Victor de la Parte (Movistar) attacked from the peloton and caught the remaining riders of the original escape. At 18 kilometres to go, Calmejane attacked from the chasers' group and five kilometres later he joined Warbasse. But this was brief as he attacked once more, leaving the American champion behind. With seven kilometres remaining, the peloton pulled by BMC caught the French rider. Hugh Carthy (EF Education First) and Francois Bidard (AG2R La Mondiale) attacked and created a good gap with the rest. Moments later, Movistar's Mikel Landa jumped from the peloton and caught the front men with five kilometres to go. Half a kilometre later, Bidard lost contact with the front group and was soon reeled back in by the bunch. It only took Landa a kilometre more to leave Carthy struggling behind, while the pack was led by riders like Wilco Kelderman (Sunweb), Nairo Quintana (Movistar) and Richie Porte (BMC). The last kilometre proved to be too hard for the Spaniard, who was caught by the reduced peloton on the last metres. 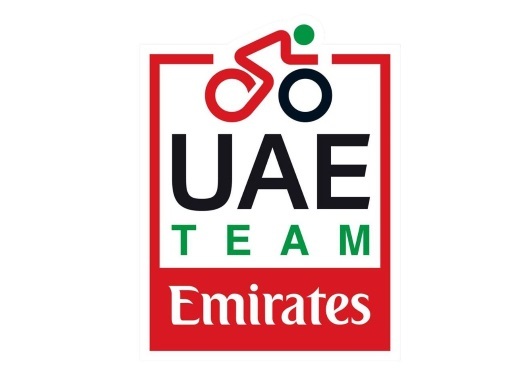 UAE Team Emirates took a slight advantage that gave him the stage victory. Quick-Step Floors' Enric Mas was second and Dimension Data's Tom Jelte Slagter was third. Richie Porte took the lead of the General Classification.